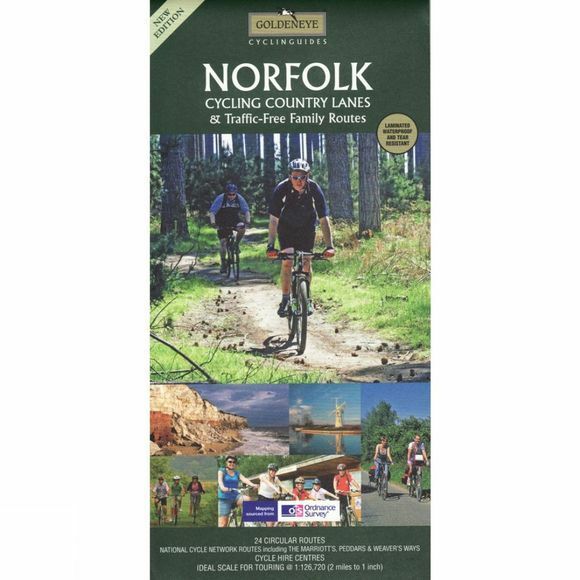 A Goldeneye map and guide to cycling Norfolk's country lanes and byways. There are 24 circular routes including 'family-friendly' trails, details on the National Cycle Network in the area and details on cycle hire centres. The Marriott's and Peddars and Weaver's Ways are included. The map has a scale of two miles to one inch and it is waterproof and tear resistant.